In need of a website? Choose from a variety of website hosting plans on offer and create your presence online today. Today high quality web hosting can be cheap & we have proved it. Hostinger helps smart people to save a lot by providing exceptionally cheap web hosting with ultimate quality, premium web hosting features & fanatically dedicated live chat support. No matter where you are on your web building journey, you need to know that it’s possible to save smart today! Here are only few of the many features that make Hostinger a pioneer of affordable, premium & inexpensive web hosting. Unlimited Web Hosting features for the Best Price! No limits - no worries! Host your website without any limits and experience true cloud hosting technology that extends to the needs of your always growing website. You don’t need to break the bank to get the top-class web hosting services - choose a premium quality website hosting for the best price in the industry! If you face any trouble, our Customer Success team will assist you 24/7. At Hostinger you pay the lowest price for the highest quality. Loved by over 29,000,000 clients, Hostinger is one of the leaders in hosting industry with the perfect balance between quality and the price of website hosting. Stacked with unlimited features and backups, ran on cloud-based technology with 3x optimized WordPress speed, Hostinger truly has all that you need to host top-notch websites. For your success, choose the best. All-in-one, everything you'll ever need to start, host and manage your successfully growing website. Unmetered and unlimited web hosting with tons of high-quality cloud features and space. All Hostinger Premium & Business web hosting plans are packed with unmetered SSD disk space & bandwidth designed to fit the needs of your website perfectly. You will also be able to host any kind of website successfully, using MySQL databases, Email accounts & FTP users. Save smart & keep your budget tight. Go with the unique high-quality web hosting, provided by the leaders of the industry at the lowest cost. Only at Hostinger, you will get an even better website hosting quality than anywhere else for the most affordable price. 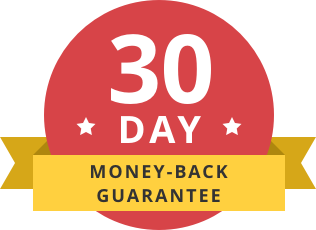 Unlike well-advertised web hosting companies, who change renewal prices for up to 500% after the first year, we offer you the best price with our Loyal Customer Guarantee Program for web hosting & domain renewals! Get free domain hosting with Premium & Business website hosting plans. This is the cheapest way to launch your website with the all-inclusive package. Hostinger is a certified ICANN member and is able to provide you with free domain hosting & various other domain deals. For the best security & high SEO rankings, go with the Business web hosting plan and you'll get a free SSL security certificate that will help you operate visitors' data or an e-commerce website with no security related worries. Select any web hosting plan and get the best free Website Builder with it! Build your website like a pro with no technical or coding knowledge by simply using the best drag and drop interface of our free website builder. You’ll be able to browse and select from hundreds of free website templates, designed by pro web artists. All websites that are built with our easiest Website Builder are SEO friendly, eye-catching and easy-to-use. Everything you need from zero to a well-designed website. Your WordPress website or blog speed is one of the most important factors needed to succeed. Thanks to servers optimized for WordPress and custom built caching plugins, Hostinger is able to achieve the industry’s fastest WordPress website speed for the most affordable cost. Let us help you start a qualitative WordPress website, without breaking the bank! Go with our WordPress hosting & speed up your website without overpaying. WordPress also runs up to 50% faster with our full SSD storage. Every website that you visit consists of a domain name and a web host. The easiest way to picture it is to think of the domain name as the address and the web hosting as the physical building. When you’re browsing the web and you type in a URL (i.e. http://www.hostinger.com), your web browser basically queries that domain name (i.e. hostinger.com) and asks it where the website is hosted. The browser then loads up the contents that are stored there. Web hosting is effectively the process of using a server to host a website, and there are all sorts of different types of web hosting available out there on the market. Hostinger, just like most web hosts offer different packages so that their customers can pay for just the resources that they need. The more popular the website is, the more resources it’s likely to need to function effectively. The good news is that with Hostinger, you can scale your web hosting package as and when you need it, so you can start off with Single hosting plan and gradually upgrade to Business or even VPS plan later. Your website is basically a collection of files and (in most cases) database that are served up to your visitors as they browse around it. Hostinger will allocate space for you to store your website and database. When you sign up Hostinger, you’ll receive login details to access your hosting account’s admin panel. At Hostinger, we offer custom built hosting control panel. Using our control panel you can carry out basic hosting management, monitor resource usage, create email addresses and install content management systems (CMSs) like WordPress. Note that this is different to the admin panel for your website, which will be created when you install a CMS. This is the admin panel for your server as a whole. Are there different types of hosting services? Shared Hosting: This is usually the cheapest form of website hosting because it’s the most economical when it comes to the use of hardware. Shared hosting means that multiple different websites are all hosted on the same server, with each user being allocated a certain amount of storage space and a certain amount of resources. This is often the best option for hobbyists and bloggers. VPS Hosting: A virtual private server (VPS) setup is like a shared hosting setup on steroids. It generally uses more powerful hardware and takes its name from the fact that while multiple websites are being stored on the same physical hardware, each uses virtualisation software to allow them to operate independently as though they were dedicated mini-servers. Dedicated Hosting: Dedicated hosting is a good choice for the pros, and like its name suggests, it involves the use of a server that’s dedicated to a single website. In other words, unlike shared and VPS hosting, the user doesn’t have to share storage space and resources with other people and they have a physical piece of hardware all to themselves. Cloud Hosting: Cloud hosting allows webmasters to tap into a large bank of servers that are all interlinked and designed to take over from each other if needed. In other words, if you need more resources, the cloud will provide more resources to rise to the demand. Cloud hosting is usually the best option if you want to aim for 100% uptime and don’t care how much you need to pay for it. Do I need to have technical knowledge to use Hostinger hosting? Not at all! Hostinger makes it as easy as possible for novice users to pick up the basics as they go along. Many of the everyday tasks, such as setting up an email address or installing a content management system (CMS), can be done with just a few clicks and with no technical knowledge whatsoever. However, don’t let that fool you - while it’s easy to pick up the basics and get going, our hosting packages are also suitable for experienced developers. After all, there’s no reason why something can’t be both user-friendly and powerful at the same time. If you’re struggling, there’s no shortage of online guides to walk you through the most common tasks that you might want to carry out, and we also have a customer support team who’ll be more than happy to help if you get stuck. But for the majority of our customers, no help is needed - and if you just want to jump in and get started, it’s quicker and easier than signing up for a new social network. What are the main differences between shared hosting and a VPS? Good question! A virtual private server (VPS) is a little bit like a cross between shared hosting and a dedicated server. It’s not quite the best of both worlds, but it is a good compromise and it can help you to keep costs down. Some people compare shared hosting to living in an apartment complex and VPS hosting to living in a condo. With shared hosting, you’re sharing a server and that server’s resources with a bunch of other websites. With a VPS, you’re still sharing some resources because that’s determined by the hardware, but the software itself is set up in such a way that one machine acts like multiple different servers, providing a different virtual server for every user. For webmasters, using a VPS means that they get the administrative power of a dedicated hosting setup, including the ability to customize their server to suit them. If you think VPS will be more suitable for you check out our cheap VPS hosting plans here. How long does it take to set up a Hostinger hosting account? Not long at all! We’re proud of the fact that setup is instant. That means our new customers can get started straight away without delay. Just create your account and walk through the setup process and you’ll be ready to log in and to start managing your new hosting account immediately. That depends - what kind of website do you have? And what’s your budget? As a general rule, shared hosting is the best place to start, and Hostinger’s hosting is suitable for almost any kind of website. Our hosting helps you to keep the costs down during the early days of your website while allowing you to pay only for the resources that you need. If your website starts to take off, you can easily upgrade to higher tier plan and pick up some extra resources. Ultimately, every website is different. If you’re not sure, why not get in touch with our team so we can chat it through with you and make a personalized suggestion based on your needs? You might already be familiar with the term ‘bandwidth’ from your broadband provider. At its most simple level, bandwidth is a term that refers to how much data can pass along an internet connection. When a user accesses your website, they send a request to the server and the server responds by literally serving up your website. Think of it as like turning on a tap. The more that people visit your website, the more water is flowing along the pipe, until you reach a point at which the pipe is full of water and it’s running at full capacity. The same idea applies to your website. If too many people are trying to access it at the same time, the pipe is filled up and the site starts to slow down and even to stop working altogether. And your hosting bandwidth is what determines the width of that pipe. While other hosting providers are limiting bandwidth, Hostinger offers truly unlimited bandwidth with with Premium and Business hosting plans. MySQL is an open source database management system that uses structured query language (SQL) to access, add to and manage the content of a database. The fact that it’s an open source tool means that it’s a popular choice for software developers, which is why it forms the backbone of many of the most popular operating systems. Most modern content management system (such as WordPress) use it to store data. Every change that you make in the CMS is recorded in the MySQL database, and then every time a visitor arrives on the site, the content of that database is served up to them. An SSL certificate is a small data file that uses a cryptographic key to digitally tie your company’s identity with the files that are stored on your webserver. The idea is to prove the identity of the publisher of a webpage and to reduce the likelihood of a visitor accessing sensitive areas of a website without the appropriate security. When a website has been secured with an SSL certificate, a visitor will see a padlock icon in their web browser and they’ll be connected to the site using the https:// protocol. With the SSL certificate in place and the user accessing the site through https, the connection between the browser and the web server has been secured and sensitive information can safely be transferred. That’s why people use SSL certificates on e-commerce websites and other types of website that process credit card transactions and other financial information. We offer free SSL certificates with Business hosting plans. There are plenty of different ways to build a website, and it’s our goal to make it as easy as possible for you to do that. We want you to be able to sign up and start building your website straight away with no delay, which is why we’ve put a lot of time into streamlining it all. If you just want to get started, the best option is usually to use our auto installer to install a content management system (CMS) which you can customize to suit your needs, whether you’re setting up a blog or whether you’re creating a website for your business. With a CMS, you can create new pages and customize the look and feel of your site without any technical know-how or programming ability. Many webmasters use WordPress which is the most widely-used CMS in the world. All our hosting plans are fully optimized for WordPress. But if WordPress doesn’t take your fancy, don’t worry. We also offer an intuitive drag and drop website builder that’s designed to get your site live in five minutes with no coding and no technical knowledge needed. You can find out more about that right here. Yes! We make it easy for you to get going by offering a free domain name when you sign up for an annual plan. We also offer some of the lowest prices on the market so that you can set up your website without spending a small fortune. Can I transfer my website to Hostinger? Yes - and we actively encourage it! If you’re using one of the more common CMS platforms such as WordPress then there are plenty of tools available to make it easy to export from one host and to import into another. But if you’re not using a common CMS - or if you need a little help along the way - then just let us know. Our staff will do everything they can to help you to make the transfer - and we’ll do it free of charge!! Will Hostinger help me to create my website? We’ll certainly do everything we can to lend a helping hand, whether that’s by pointing you in the right direction or by troubleshooting errors and issues. We also have a large knowledge base that’s filled with answers to existing questions, as well as a range of tutorials which were written with new customers in mind to help them to get started and to make the most of their Hostinger plan. That said, we’re hosting specialists - which means that while we’ll offer as much help and support as we can, we’re not able to build you a website from scratch. But don’t worry about it - thanks to our website builder and our auto installers, you won’t have a problem. Can I buy Hosting without a domain name? Yes, you can. If you want to, you can purchase domain names from elsewhere and point it to your server with Hostinger. If you want to keep your domain name and your website hosting together under a single provider — which we’d recommend for convenience and easier troubleshooting — then you can also transfer an existing domain name to Hostinger. Just get in touch and let us know! Yes! In fact, this is usually what we recommend, and it’s one of the benefits of choosing Hostinger as your hosting provider. We make the upgrade procedure as simple as possible so that you can start on our budget plans and upgrade as your website starts to take off. We’re there alongside you at all times and we’re ready to grow with you! Many other hosting providers will try to talk you into taking out plans that you neither need nor want. We disagree with that. We believe you should pay only for the resources that you need. How can I be sure Hostinger hosting is secure? We take security very seriously because there’s no point having a website if you can’t be sure that it’s safe from attack. We use BitNinja to protect all of our users, and we go out of our way to ensure that our servers are as strong and secure as possible. This includes running advanced , custom built security software and regularly updating our infrastructure. Can I install and run an ecommerce site on Hostinger hosting? Of course! We’re all about helping our customers to get their businesses off the ground, and that means that we support e-commerce sites on any of our plans. You can also take advantage of our auto-installers to set up a range of content management systems (CMS) and e-commerce platforms. Here at Hostinger, we pride ourselves on our support team. In fact, we call our support team our customer success team, because we go the extra mile to make sure that our customers are as successful as possible. If you have a problem, no matter what it is, then get in touch with us. We’ll do our best to fix it if it’s something that’s under control, and even if not, we’ll try to point you in the right direction. Our customer success team is top-rated within the industry and we have a long track record of doing everything in our power to help our customers. We respond quickly and thoroughly and don’t give up until we’ve found a solution. So if you’re having a problem, get in touch! Pay for real web hosting technologies, not marketing! Stop paying extra for marketing. Pay only for the product. Save smart, go with cheap web hosting without losing the premium quality! High price doesn't mean high quality.